Practice your politeness and pivotal movements because you are bringing Threepio to life! This Star Wars Classic C-3Po Adult Costume is as good as gold, a little fussy and worry-prone too. 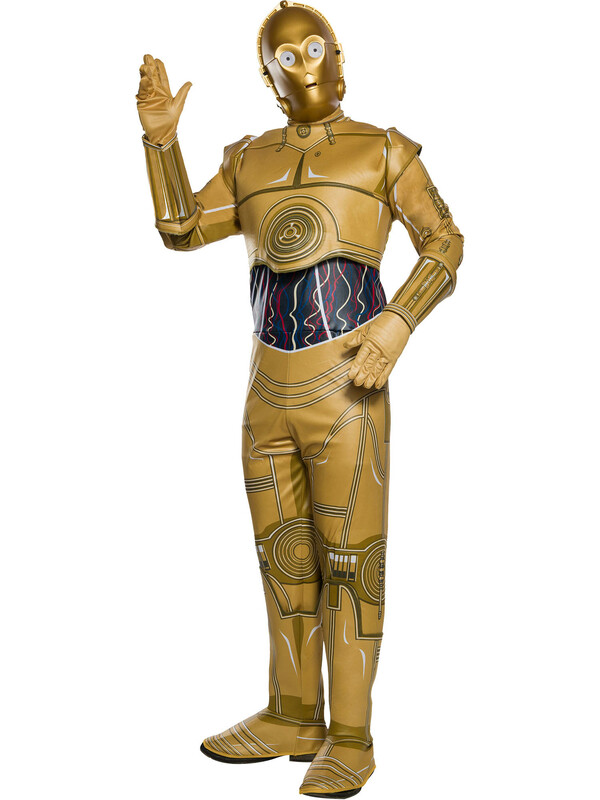 The metallic jumpsuit with foam detailing and shoe covers bear complete resemblance of the original protocol droid. Program yourself to wear the included gloves, hood, and half mask to transform yourself into the beloved robotic warrior, C-3Po.